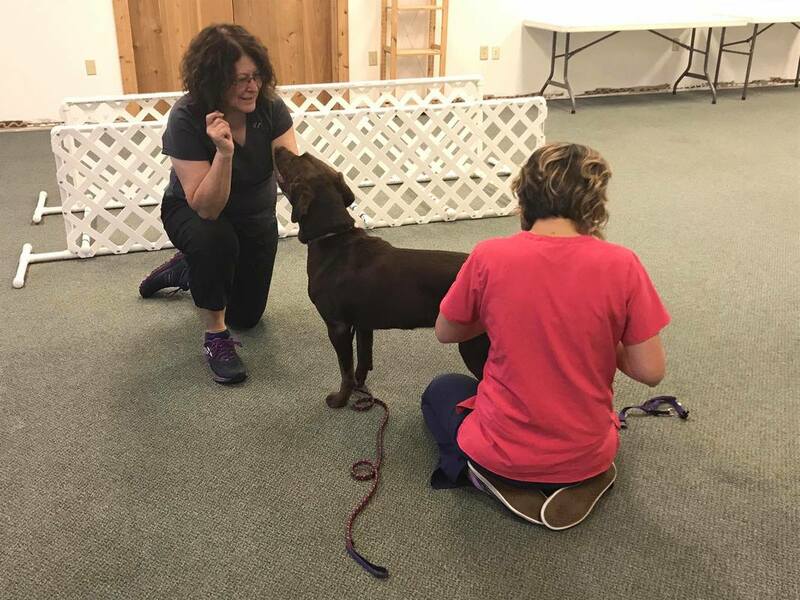 Since I was young, I have had a passion for animals and it continues to be an important part of my life today. 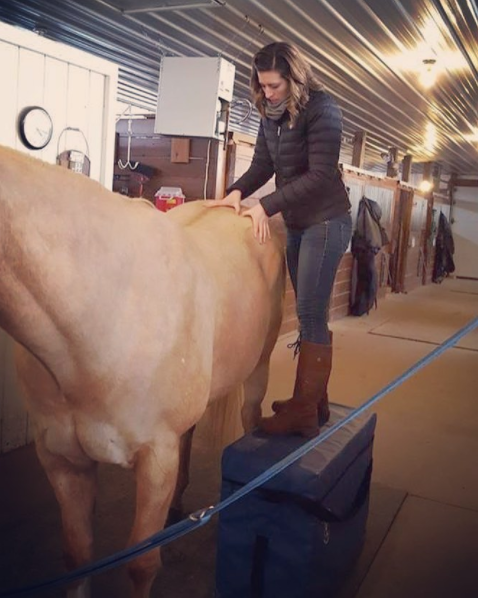 At the age of 12, my passion for horses and riding began. On the weekends and summers off from school I cleaned stalls and turned out horses to work off my riding lessons. 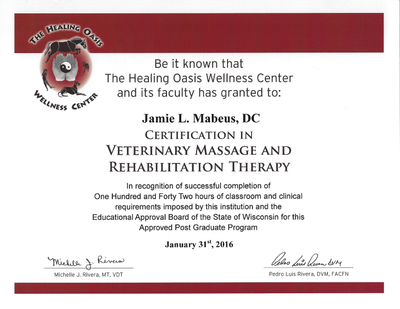 My knowledge of horses grew extensively through my years at the barn. During my time at Carroll College, I worked at a small animal veterinary clinic until I relocated for chiropractic school. 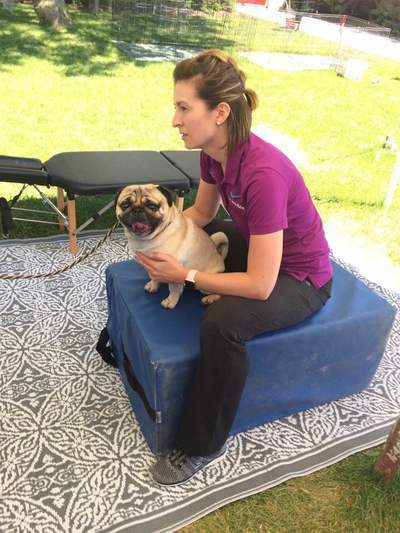 After entering the human health care field, and seeing the positive benefits chiropractic care has for her human patients, I was determined to expand my passion to animals. 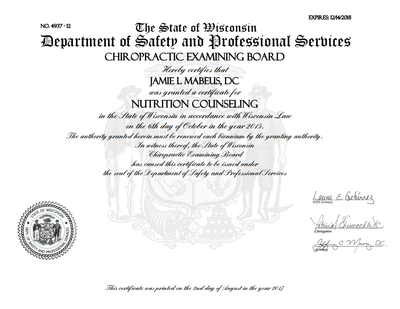 I received my undergraduate degree from Carroll University in Waukesha, Wisconsin with a degree in Psychology and and Pre-Physical Therapy. 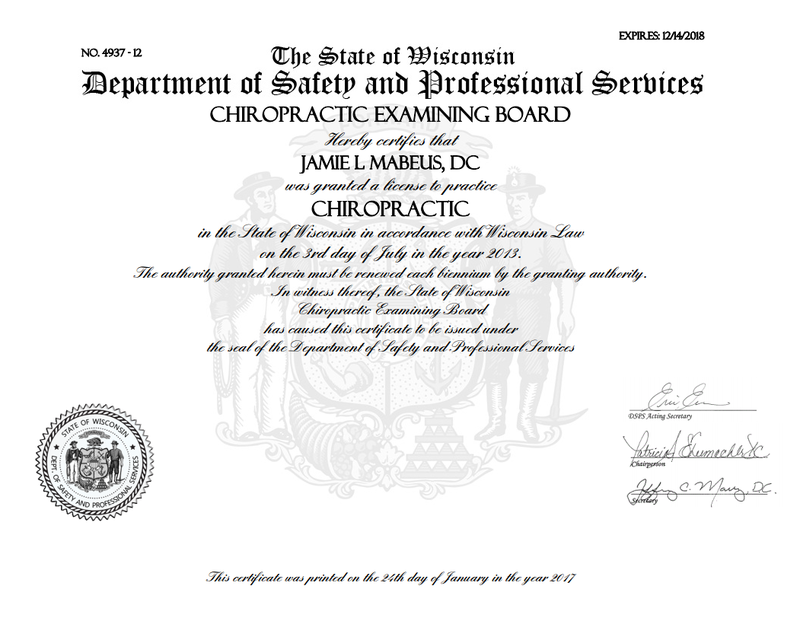 After graduating from Carroll, I moved down to the Chicago subburbs and attended National University of Health Sciences in Lombard, Illinois where I received my Doctor of Chiropractic degree. 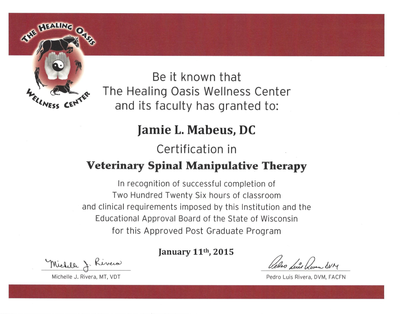 ​After completing my doctor of chiropractic degree, I completed the 226+ hour post-graduate training in Veterinary Spinal Manipulative Therapy - Animal Chiropractic, and 142+ hours of Massage and Rehabilitation training through the Healing Oasis. 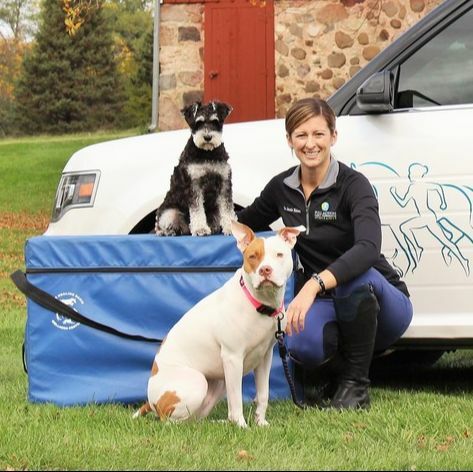 Dr. Jamie continues to learn about the sport of agility with her two companions, Ivy and Nali. Dr. Jamie will soon be welcoming a boarder collie, Enzo to her pack. 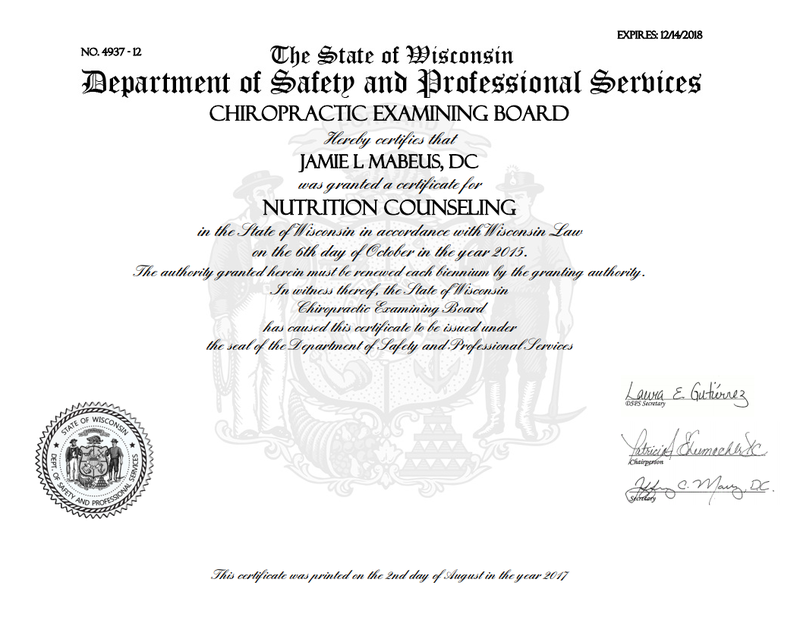 Dr. Jamie is a licensed Chiropractor in the state of Wisconsin with a state approved certification in Nutritional Counseling. Dr. Jamie is certified in Veterinary Spinal Manipulation (Animal Chiropractic) and Rehabilitation through the Health Oasis Wellness Center, approved through Wisconsin's board of education.